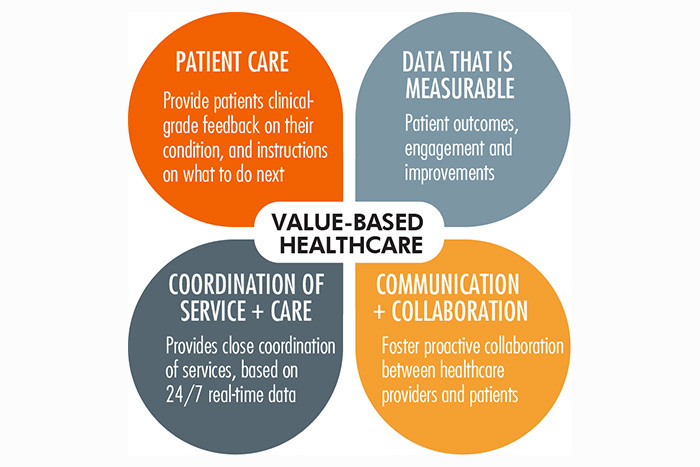 The concept of value-based healthcare is increasingly a driving force in health systems across the world. The impact of the financial crisis of 2008 on ever-growing healthcare costs has healthcare organizations seeking innovative solutions to improve performance, control costs, and most importantly to produce value for patients and healthcare professionals. Different schemes are proposed and applied to transform healthcare organizations from traditional schemes, into high quality and cost-effective healthcare operations. The implementation of new value-based strategies is complicated by many factors such as incentives – intended or unintended – as well as having to consider the value chain and continuity of health care to effectively measure outcomes of healthcare interventions. Health Management educational programs have been emerging to identify the key competencies needed to meet these challenges. We have identified the most significant competencies that affect the implementation of value-based strategies, and training methodologies to achieve related learning outcomes. The University of Central Florida and the Gulf Medical University have established a partnership to collaborate developing learning technologies, materials and methodologies to increase the speed of diffusion and the accessibility of professional development tools. Determine the best approaches to prepare healthcare teams for a change to value-based performance. Director of Global Health Initiatives of the Department of Health Management & Informatics at the University of Central Florida. 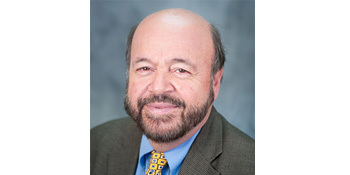 Professor Ramirez is Director of Global Health Initiatives of the Department of Health Management and Informatics at the University of Central Florida. He has experience in more than 60 countries as health services Administrator and consultant in public and private organizations from the hospital departmental level to planning and policy at the Ministry of Health level. He has directed and conducted management training for health services executives and managers under the auspices of international development agencies and organizations, such as USAID, The Pan-American Health Organization, The World Bank and The W.K. Kellogg Foundation. Among other positions, he has served as: General Director of Health Standards of the Ministry of Health of Mexico; President of the Mexican Hospital Association; Vice President and Director of International Programs and member of the Board of Directors of Association of University Programs in Health Administration (AUPHA). Currently he serves as a member of the Candidacy and Global Accreditation Committees in the Commission on Accreditation of Health Management Education (CAHME) and Lead Facilitator of the Project to Develop Collaboration with Academia of the Special Interest Group in Health Management of the International Hospital Federation (IHF). He has served as a Rotarian, in the Board of Directors of the Celebration Foundation, Orlando Florida; and on SHARES International Florida Hospital Foundation. He is the author of numerous publications, training materials and presenter in many national and international forums.